As yall know, self-representation and independent media are key. You might have heard about Reclaim Turtle Island , which is a budding platform for Indigenous-run grassroots media projects. Right now we need your support! Literally all across Turtle Island, Indigenous Nations are combating reservation apartheid and industrial genocide. This means fierce ‘n’ frontline resistance to resource extraction! Everything from tar sands, pipelines, fracking, to mining, Land Defenders are throwing down to protect our lands and build up our communities, regaining identity and reclaiming territories. Born in late 2013, we focused on supporting the Mi’kmaq Warriors fighting fracking, and put out our first short film! Co-produced with subMedia.tv, titled Kahsatstenhsera – Indigenous Resistance to Tar Sands Pipelines. Reclaim Turtle Island is a form of anti-colonial cultural production and is primarily focused on producing media for and by Indigenous folks, helping to inspire to strive for total liberation. We are raising funds for a few simple reasons. #1 is equipment. We want to produce high-quality short films that educate and elevate! This means audio, post-production editing tools, data storage (so many hard drives), etc! The other main reason is that we are in the midst of production right now!!!! Even a small donation will help us reach our goal!! Nia:wen’kowa – Great thanks! Your support can help make this happen. Jokkmokk, Sweden — On a dirt road passing through sparkling lakes and spruce woods in the wilds of northern Sweden, a woman belonging to Europe’s only indigenous people — the Sami — chants a traditional, high-pitched tune. Since the end of the last Ice Age, the Sami have wandered the vast landscapes of northern Europe, herding reindeer and nurturing a philosophy of harmony with nature. This time, however, the woman’s Joik — a Sami chant that involves gliding over notes without lyrics — has a desperate tone to it: Her voice trembles and grows into a scream as four policemen remove her from the road. She had been protesting a British mining company’s plans for an open pit mine on ancient lands. 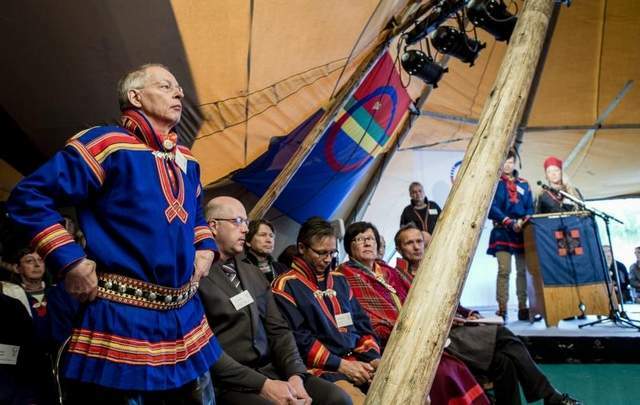 The woman is one of dozens of Sami and environmental activists who gathered recently on the site, setting up road blocks, burning bonfires and flying the Sami flag, with the aim to block the company from conducting test blasts near the town of Jokkmokk on the Arctic Circle. The Gobixha Committee for the Integral Defense of Human Rights (CODIGO DH) would like to express concern for the lack of institutional attention to the conflict generated by the construction of the wind farm Strength and Energy Bií Hioxo, owned by the Gas Natural Fenosa (GNF) Company. This situation has generated a wave of violence against supporters of the Popular Assembly of the People of Juchitán (APPJ). We are concerned about the indifference of the authorities and their lack of action during the last eight months. The last act of violence against members of the APPJ took place on Sunday, August 25, when they where attacked by gunshots at the summit of the place named Chigueeze, inside the area of the Bií Hioxo park. These actions took place approximately at noon when APPJ members were walking on communal lands to document the effects of the wind farm project. At this time they were stopped by armed men in a white suburban who threatened them with death, took their pictures, and shot at them. The men briefly held Sara Lopez prisoner and tried to stab her, but she was defended by the people who were with her, and was able to escape. The armed men also tried to run over another person with their vehicle. The international ELF presence appears to be on the rise. 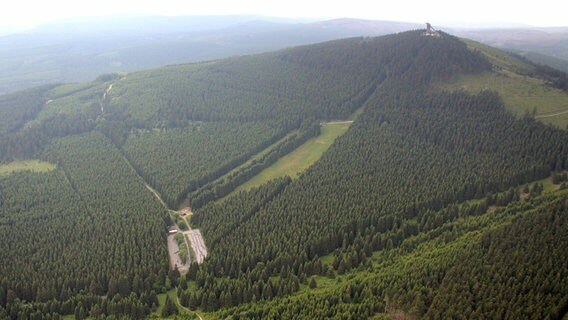 Last week it was reported that militant ecologists destroyed parts of a ski lift and an artificial snow production station at the Wurmberg in the Harz region of Germany, declaring themselves to be members of the Earth Liberation Front (ELF). This marks the first reported action of an ELF cell in German-speaking countries. According to initial police estimates, the damage amounts to around 100,000 euros, primarily by cutting numerous electrical lines. 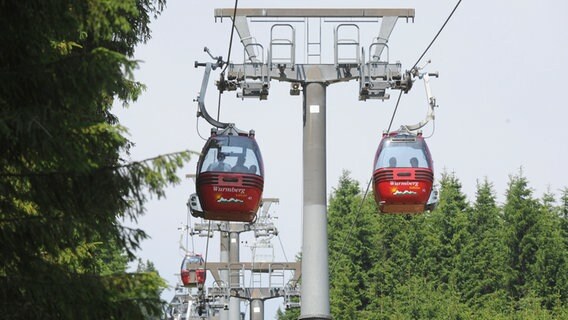 The action aimed at protesting the destruction of a sensitive area for the sake of ski tourism. 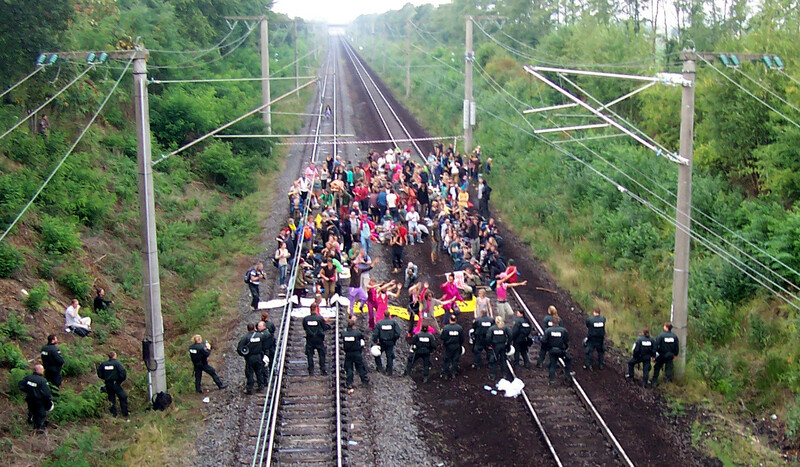 Rhineland Coalfield – Germany: Around 200 activists are occupying the coal train tracks which is the main way to transport coal between the open-cast coal mine “Hambach” to the big power plants which emit 100 millions tons of CO2 per year. The action is happening in solidarity with the Climate and Reclaim the Fields Camp that is taking place from August 23 to September 6 2013 in the Rhineland coalfield. The activists went onto the tracks at around 1pm. At the time of writing (5.30pm), they are still there, surrounded by a lot of police. The fire fighters have arrived to fell trees, to make way for the police. It is expected that the occupation is going to be evicted within the next hours. Already in the last two years, there have been blockades like this. The tracks are an extremely vulnerable point in the coal complex ca. 40km west of Cologne, which consists of three open cast lignite mines and four coal-fired power plants. Usually, wagons loaded with coal run here every 15 minutes to supply the power plants. The plants have storage capacity for only two days. 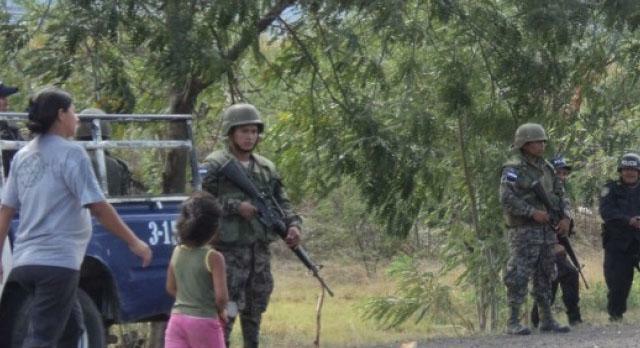 While carrying out peaceful actions to defend their territory from the illegal exploitation of natural resources and forest clearing, three Indigenous Tolupan from Yoro district in Honduras, María Enriqueta Matute, Armando Funez Medina and Ricardo Soto Funez, were murdered on Sunday. 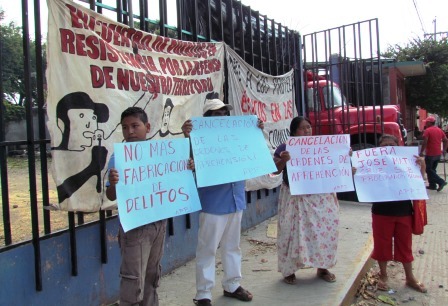 At the time, the Tolupan community of San Francisco de Locomapa was carrying out a peaceful demonstration to protest the installation of a mine in their territories. Exercising their legitimate right to the protection of their environment and their livelihoods, the community organized a roadblock, preventing all vehicles from gaining access to any minerals. 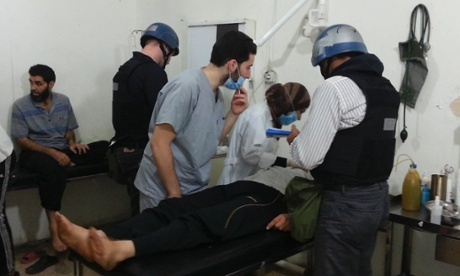 On 21 August, hundreds – perhaps over a thousand – people were killed in a chemical weapon attack in Ghouta, Damascus, prompting the US, UK, Israel and France to raise the spectre of military strikes against Bashir al Assad’s forces. The latest episode is merely one more horrific event in a conflict that has increasingly taken on genocidal characteristics. The case for action at first glance is indisputable. The UN now confirms a death toll over 100,000 people, the vast majority of whom have been killed by Assad’s troops. An estimated 4.5 million people have been displaced from their homes. International observers have overwhelmingly confirmed Assad’s complicity in the preponderance of war crimes and crimes against humanity against the Syrian people. The illegitimacy of his regime, and the legitimacy of the uprising, is clear.